Mercedes Benz, one of the oldest luxury car manufacturer, is shaping the future of travel. 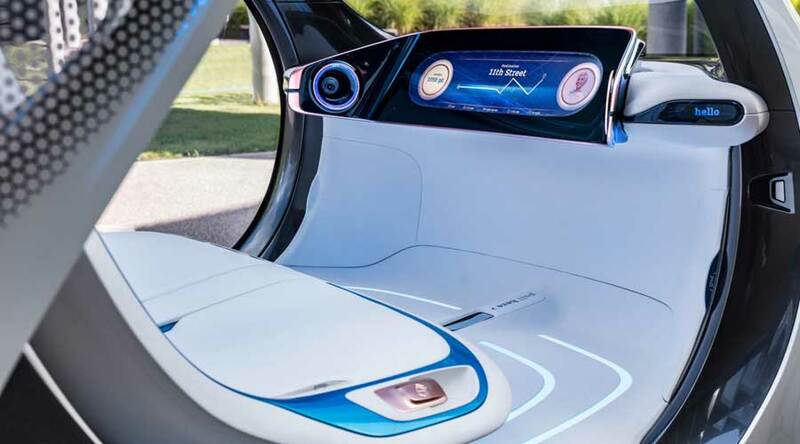 'Smart', owned by the Daimler group, recently showcased an autonomous concept car named Smart Vision EQ Fortwo. The small concept car is totally focused on car sharing model. As in future, owning the car will be old-fashioned. Mercedes Benz is building the whole ecosystem where the drivers can easily share the cars with them. Currently, the car sharing services all over the world are growing exponentially. It will continue to grow in future. Most of the online taxi platforms are non-autonomous currently. But eventually, they will shift to an autonomous platform as the technology evolves. Furthermore, Mercedes Benz is constantly evolving its technology on the basis of a strategy called the CASE. It means Connected, Autonomous, Shared, and Electric. The CASE marks clearly where the future of cars belongs. Connected: The smart vision EQ is connected to Smartphone’s all the time. Besides, you can customize the front black panel as per your wish. It will also work as the communication agent for other road users showing information for pedestrians. In addition, the activation and deactivation of large projection surfaces are possible. Unoccupied cars may display weather or news on this projection panels. 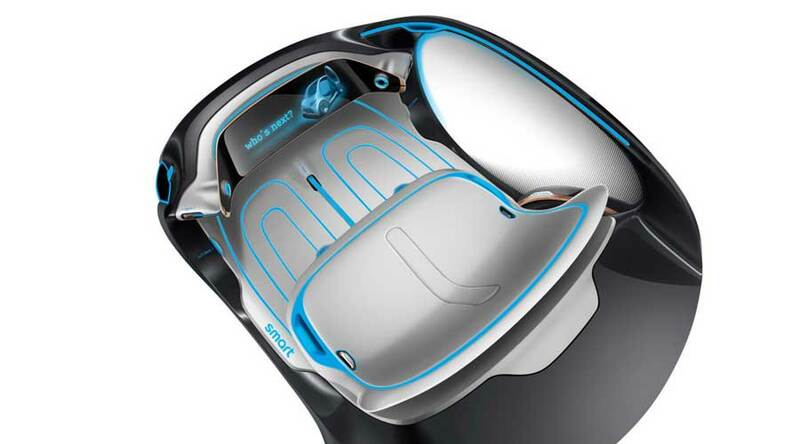 There are many digital surfaces on the car's interior and exterior which take the communication between occupants and car to a new level. The car uses Black Panel Grille and LED displays in place of headlamps and tail lamps. In case if someone wants to use 1+1 sharing function, the car will show possible occupants on the same route. Furthermore, the individuals can accept or reject the co-passenger as per their wish. In case if two passengers with same interest occupy both the seats, the car will display common interests like concerts or sports they like. Autonomous: The swarm intelligence with autonomous driving makes hiring cars the thing of the past. The car will predict the demand according to individual needs and be ready. So, just get out of your home and it will be there for you. Interconnected cars having V2V communication are always on the road for your service all the time. Shared: Car sharing is increasing day by day. It is reducing emission problems and traffic woes to great extent. The demand for the shared car is increasing. As a result, the sharing services will increase in future city commute and EQ will fulfill the demand. Electric: The concept car Smart Vision EQ is totally electric which features 30kWh motor with the rechargeable lithium-ion battery. When the car is not in use it will make its way to nearby charging station automatically for charging itself. Also, inductive charging is possible in this car. In conclusion, the large number of digital surfaces makes the communication hassle-free and intuitive. And we are very sure Mercedes Benz is taking benchmark steps in autonomous cars leaving the competition behind. 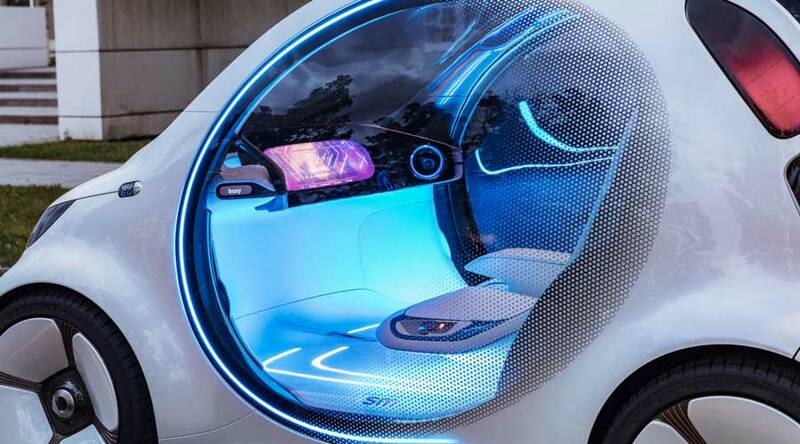 Home » Articles » Smart vision EQ Fortwo: How this small concept car will change the way you travel?